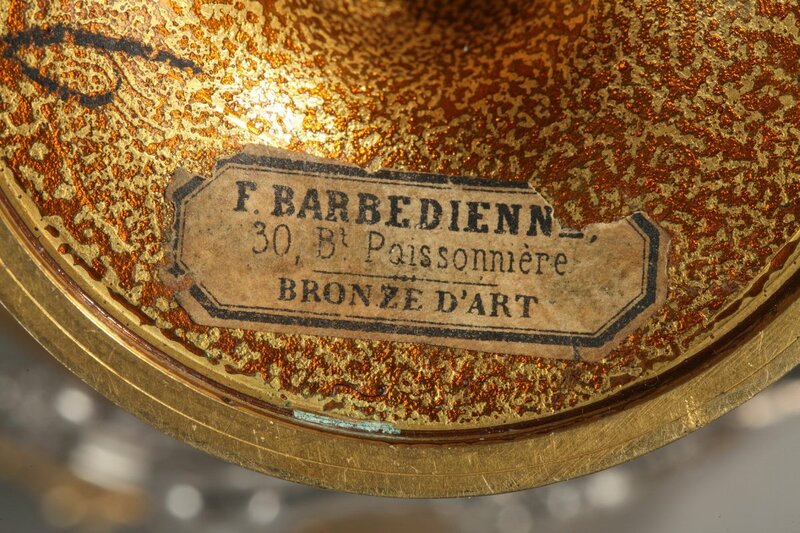 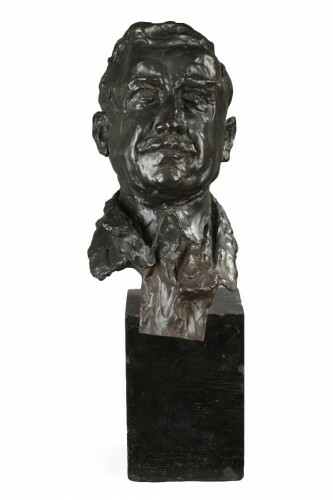 Label F.BARBEDIENNE 30 Bt Poissonnière, BRONZE ART under the base. 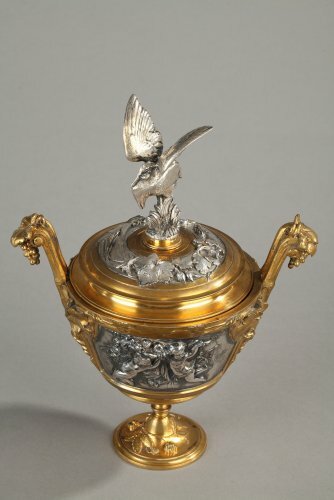 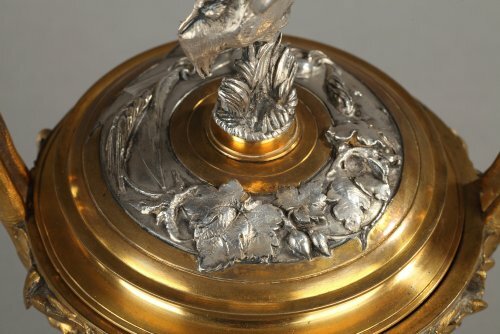 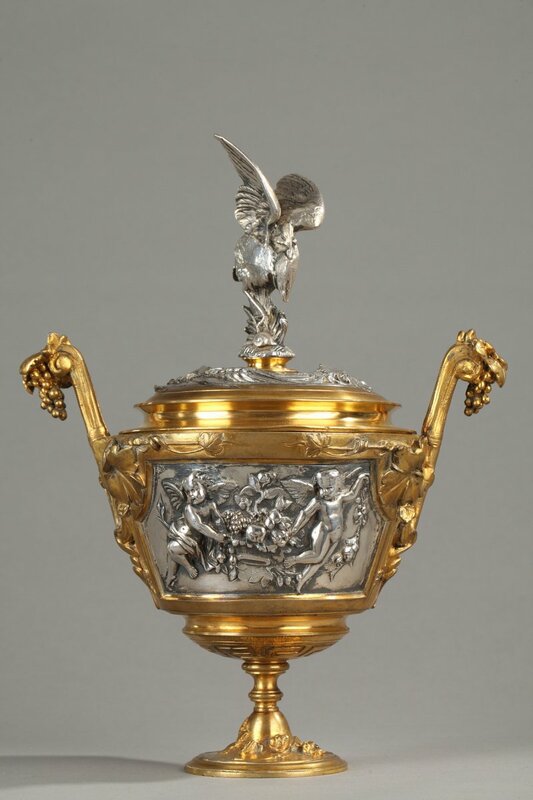 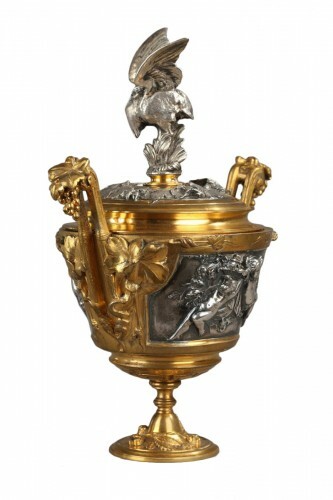 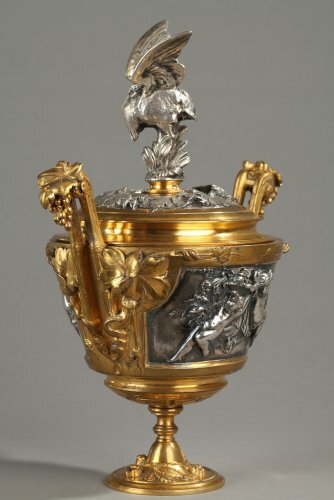 Pot covered in gilded bronze and silver bronze. 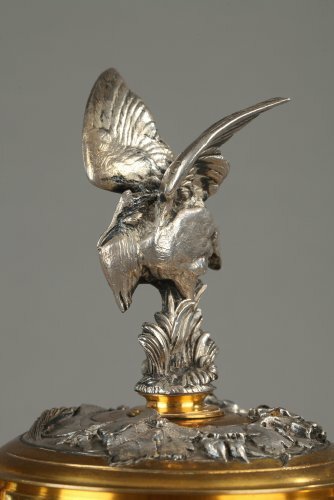 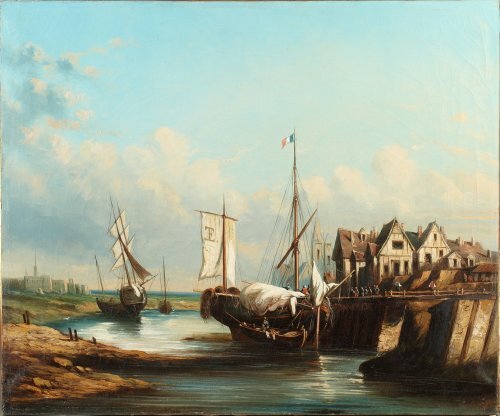 The taking cover represents a heron with outstretched wings. 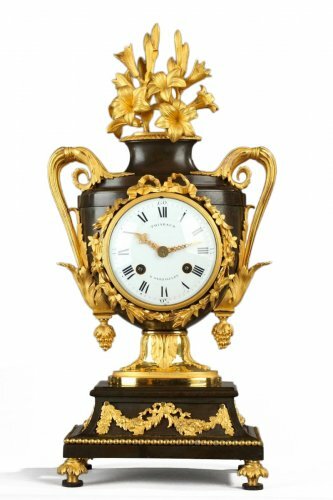 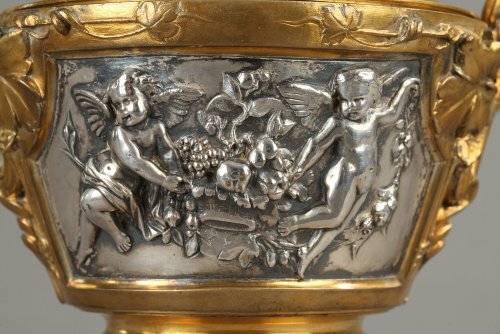 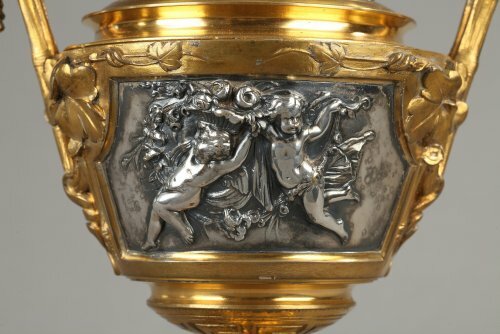 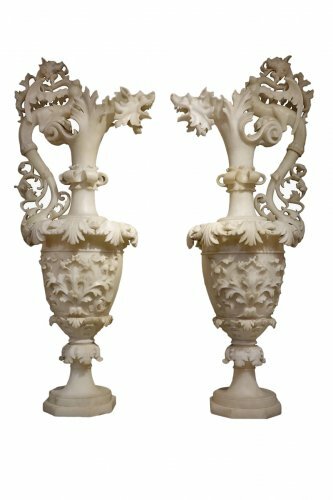 The vase reserves are decorated with putti and floral motifs. 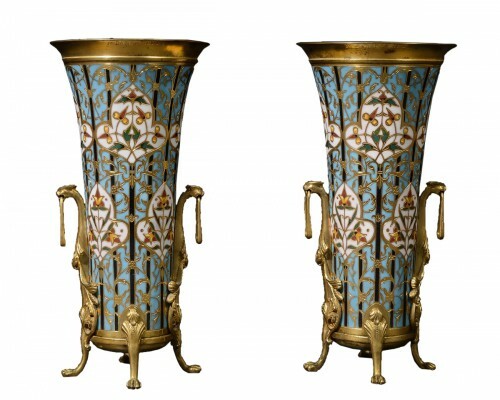 The two handles are patterned of grapes and grape leaves.